L. Lactuca, Eng. lettuce. It is believed that lettuce descended from a Siberian variety of wild lettuce that acted like opium by relaxing the consumer and making him sleepy. The Romans used it especially for celebrations for its laxative effects and it served as a tranquilizer or for its anti-aphrodisiac effect. 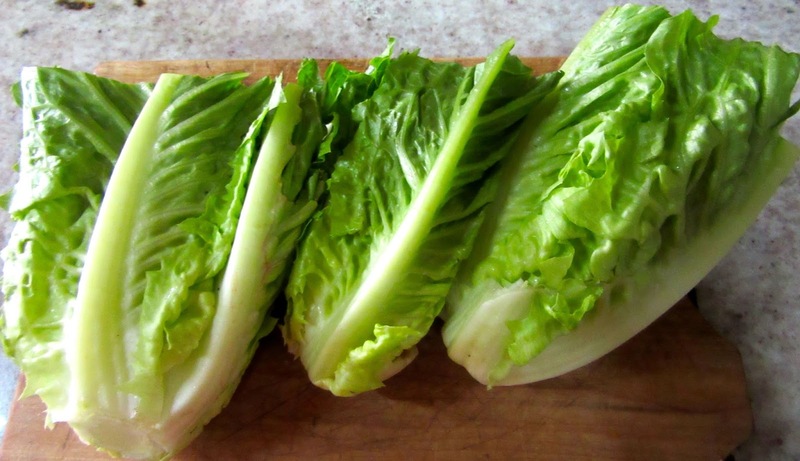 During the Middle Ages, the use of lettuce fell dramatically in Al-Andulus, although it continued to be used in the Barbary Region of North Africa. It was considered humid and cold. It was thought to generate an extraordinary subtle blood and was beneficial against itching produced by the combustion of the humors. Lettuce was washed and left to soak until it appeared wilted and then eaten. Pliny states that it was the symbol for continence as it contained properties that calmed lust. 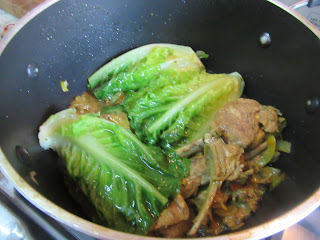 Chop lamb into small pices. Put it in a pot. Add salt to paste with a pice of onion, onion, pepper, coriander seed, clove, saffron and oil. Cook until almost done. Add heads of lettuce, peeled and cut up. When the lettuce is done, add vinegar and finish cooking. 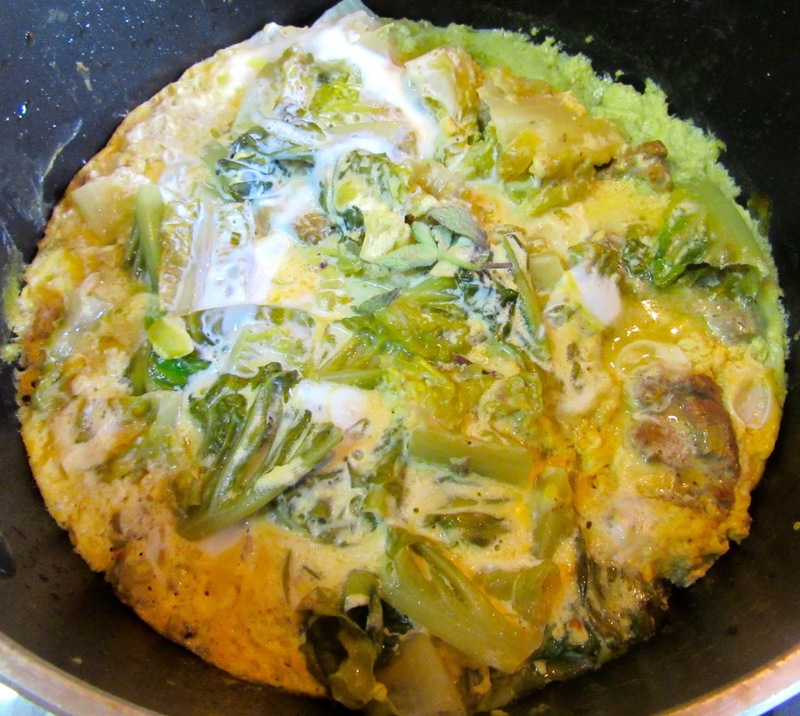 Cover with beaten egg, mixed with saffron and spikenard. Cover and remove from heat. Let sit until eggs have solidified.